Not even Lotus was able to make the original Supra any fun. Donut Media is seriously concerned with the ever-declining interest and general lack of knowledge regarding cars that the general public seems to have. From time to time it takes a break from feeding us the usual diet of drift videos and takes time to make PSAs. Recently that manifested itself in a video about roadside barriers. Cool, that was informative and all, but what about the Toyota Supra? With so many rumors stirring due to its imminent reintroduction, it pays to know. So now Donut Media has gone ahead and touched on the history of the Supra so that anyone waiting on the sidelines to buy one can know a thing or two about the heritage of the car they’re about to set foot into. Without further ado, let’s welcome one of the original Japanese Mustang competitors, the Toyota Supra. 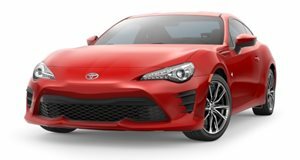 And yes, the Supra did want to appeal to the same group of buyers who’d usually spend the money on a Mustang albeit with reliability and quality, the two shining qualities that make a Toyota what it is. To extract fun, not the first thing you think about when looking at a T-badged car, Toyota went to Lotus. It took a few generations, or “Marks” as they’re known in the US, to get the recipe right, and suddenly the legend we all know and love had begun.